What followed was a bit of a bumpy career in words. From an internship with a printer and my first “real” job with a “good news” news magazine to being laid off from a huge legal publisher after only working there 13 days and an eight-year stint as the sole copy editor for the for-profit media arm of a nonprofit health care association (say that three times fast), I really learned my way around publishing. Today, I am gleefully freelancing and ready to work for you. I am darn easy to work with, read style guides for fun, and have a long-held passion for copious amounts of coffee. 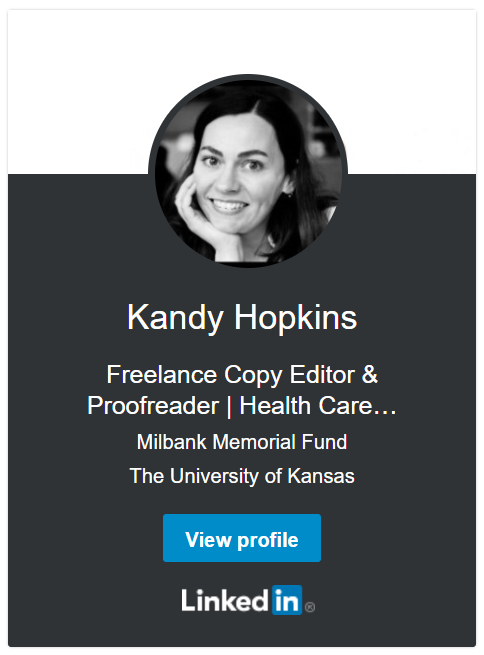 So if you’re in the market for a first-rate, professional copy editor or proofreader, look no further! * Note: My “love” was likely chemically induced thanks to the powerful combination of teenage hormones and the rubber-cement fumes I inhaled while working in the top-floor, unair-conditioned journalism classroom of my small-town Kansas high school. I would also like say that it’s absolutely not my fault that said high school was torn down the year after I graduated. Honest. It was really old.